Fees associated with filing patent applications in Chile as well as other patent fees are available in the fee calculator. The term for filing a patent application in Chile claiming priority is 12 months from the date of priority. This term may be restored within two months provided that a respective fee is paid as well as a request stating the reasons for the missing the deadline and providing reasonable evidence is submitted. - complete information about the priority (if any). The official language of the Chilean patent application is Spanish. The application may be filed in any foreign language; however, Spanish translation must be submitted within 30 days from filing the Chilean patent application. The original Power of Attorney must be submitted. It may be provided later, within 60 days from the date of filing an application for patent registration in Chile. If the applicant is not the inventor the notarized Assignment Deed must be provided within 30 days from filing the patent application in Chile. Examination of Chilean patent application must be requested within 60 days from the expiration of the time limit for the opposition that constitutes 45 days from the publication of the application. 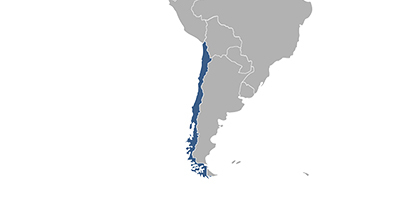 The official grant fee for Chilean patent should be paid within 60 days from issuing the notice of allowance. For foreigners it is necessary to appoint an agent, a Chilean patent attorney, to perform the patent registration in Chile. Online Database for Chilean Patents Search.